What I want from my Networking GearAutomagic: I want it to automatically do things that cause me to shake my head in disbelief. Automagic Fabric Join: If I have a good healthy fabric running, and I add a new device, it should authenticate, pull a new config, auto join, auto config any adjacent trunks and start passing traffic before I get back to my desk. Thoughtful post that covers many thoughts that I’ve been having. The trading floor is a weird place, with funny requirements. In this post I’m going to go over some of the things that make trading floor networking… Interesting. 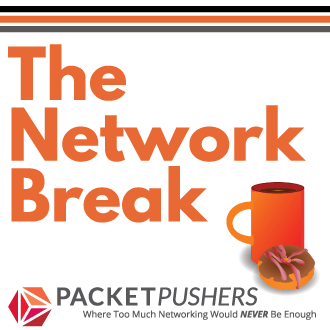 Some wonderful insights into a networking environment that many of us do not see. Chris works on a large trading network and they are very different from enterprise, cloudy, data centre, or any other network. Take some time to read and consider how different networks all achieve the same thing. IGP Blog :: ICANN must not back down – Strong words but accurate. Currently, America is tolerated as the administrator of the Internet DNS services. China and Europe have already made serious diplomatic moves to change this. I think the ICANN has been an enlightened owner of DNS and done everything right to keep the Internet open and free. If, however, the US government attempts to dictate DNS policy then it’s likely that the Internet will have a dark time and DNS will move to the UN, or, dare I say it, the ITU. If ICANN blinks, if it deviates from or delays its agreed and hard-fought policy in the slightest way, the coup d’etat succeeds. Everyone in the world then concludes that a few corporate interests in the United States hold veto power over the policies of the Internet’s domain name system. Imagine the centrifugal forces that are unleashed as a result. Imagine the impact in Russia, China, Brazil, India, South Africa, and even the EU, when they are told in no uncertain terms that ICANN’s policy making is hostage to the whims of a few well-placed, narrowly focused U.S. business interests; that they can invest thousands of person-hours and resources to working in that framework only to see the rug pulled out from under them by a campaign by the ANA and an editorial by the New York Times. The entire institutional infrastructure we have spent 15 years trying will be drained of its life. Materials « European Network Operators’ Group – You can download my presentation from Euronog 2011 on OpenFlow and Software Defined Networking. 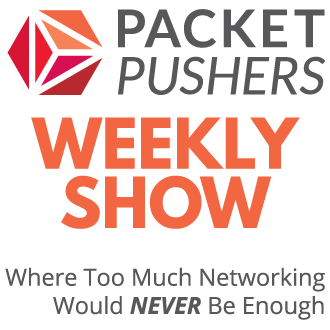 Although, since I have a face for podcasting you might be better advised to listen to Packet Pushers. At least I have a chance of understanding what it is now. What where they thinking when they came up with “Network Overdrive Hypervisor” – Cisco marketing at it’s worst. I’ve spent some time looking at the product, but I cannot run it ( no trial licenses) so I can’t say much. It’s an interesting idea that I think has a short shelf life since OpenFlow/SDN, or NETCONG/YANG is much more likely to be successful. Unless Cisco can change it’s spots to become a platform and open this software to external participation I doubt it will last long. Infiniband at Home (10Gb networking on the cheap) « DavidHunt.ie – Sometimes I wish I had a lab at home so I could do stuff like this. The truth is, of course, that I don’t have time for it since I opted for a family ten / twelve years ago. But I would be using Infiniband if I had one. RFC 6450 – Multicast Ping Protocol – Why did it take so long for this to be invented ? The need to ping for Multicast connectivity has a problem for years. Here’s hoping all vendors implement it. Please let me know if you see this in the wild. multicast tree setup time. This protocol is based on an implementation of tools called “ssmping” and “asmping”. End-of-Sale and End-of-Life Announcement for the Cisco VPN Client [Cisco VPN Client] – Cisco Systems – Cisco attempts to kill off the Cisco IPSec VPN Client again after a large customer backlash on the previous attempt in June 2009 see: Early Death of Cisco VPN Client Forces VPN License Fees. This time, VPN license fees are still an issue – Cisco will seek to extract extra money from their customer for upgrading to the AnyConnect client that needs advanced IPsec licensing. While an admirable (and attainable) goal, in my opinion, going after the CCIE while in or just after college isn’t the right way to think about building a networking career. Some have done it. Others will do it. I know. I get that. Just keep in mind that it’s the time in the trenches designing around difficult problems, resolving failures, and learning why things happen the way they do that will make you a solid performer year after year. Once you know “why”, you’ll find that “how” matters a bit less. I hope customers get mad all over again at this latest attempt to kill off of the IPSec client.